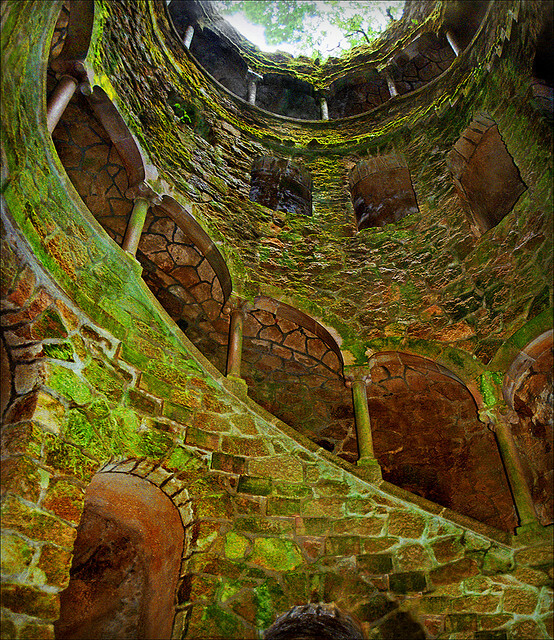 A journey of rebirth and self discovery is the concept behind the Initiation or Initiatic Well at Quinta da Regaleira in Sintra. 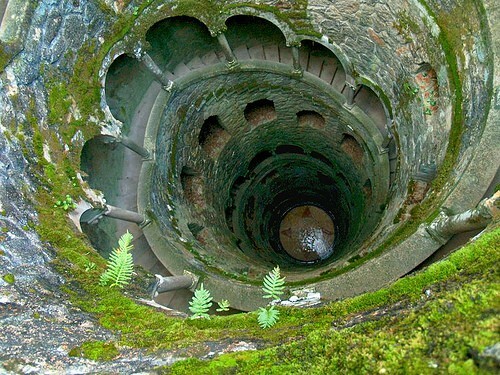 The 27 metre deep well, resembles an inverted tower, and depending on the direction you choose, either a journey down into the depths of the earth, or a climb out of the darkness into the light, the journey through the earth is like a rebirth through mother natures womb, from where all things come and where one day all shall return. 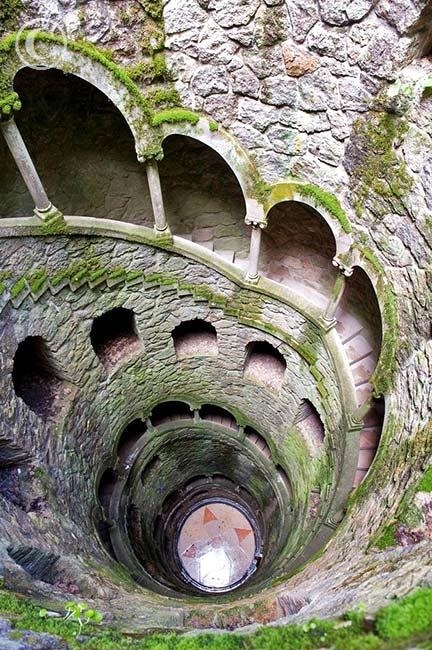 The well is divided in nine platforms reminiscent of the Divine Comedy by Dante and the nine circles of Hell, the nine sections of Purgatory and the nine skies which constitute Paradise. At the base of the well you will find a Rosicrucian Cross, which also happened to be the coat of arms of Carvalho Monteiro.